Sharing knowledge can a great gift and a great pleasure, there is the wonder of learning something new and the joy of passing on what you have experienced and learnt. 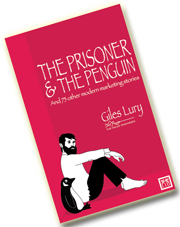 Sharing knowledge is the mission of LID Publishing, who have been kind, some would say foolish enough to publish a couple of my books (including The Prisoner and The Penguin) and together we’re in the middle of producing of a third. LID Publishing are commemorating 25 years in publishing since their ‘beginning in Spain’ in 1993 and to celebrate the milestone they have published a book entitled “250 Insights”. Sometimes you are told a story but there is no way you can check it. The story I’m going to tell you is one of those but it has the ring of truth. It instinctively makes sense, so I hope you’ll forgive if it’s not completely true. However before the story, one fact which you can check out is the brand isn’t named after a cattle town in Argentina. Fray Bentos is in fact a port in Uruguay, where the products were originally processed and packaged. “Barry”, let’s call him Barry because I think that was the name of the brand manager who told me the story, was worried. The cost of steak had gone up again and he was concerned that if he put the price of his steak and kidney pies up then sales would fall. So before he went to his director he thought he ought to see if there were any other options. He undertook a full review of all the ingredients and all the manufacturing costs. It was then he noticed that the cost of the kidneys was much less than the cost of steak. Working with the brand’s development chef and the factory he produced a new pie which increased the ration of kidney to steak but would mean he could keep the price the same. Nervously Barry and the team sent out the new Fray Bentos pies to the supermarkets. At first nothing much happened and Barry was relieved but then something strange happened, sales went up. Thinking it was blip Barry didn’t take much notice, then sales went up again, not much but definitely more than they had been and what’s more they stayed up. Barry was surprised, pleased and above all curious so decided to do a little research. What he discovered was in hindsight self-evident. 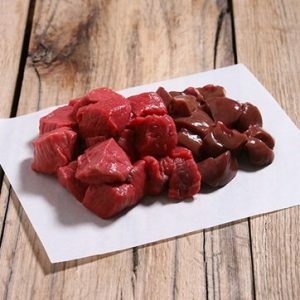 People who bought steak and kidney pies, did so because they like kidney, if they didn’t they could buy other steak, steak and onion, chicken pies. Barry and Fray Bentos had given them more of what they liked so it was no wonder when they discovered it they were pleased and bought more. Netflix tells stories, but not just the ones it streams. How it began is a story it likes to tell, only it seems like there isn’t just one version. It’s a story, or rather stories that change depending on who is telling them and when. The two co-founders, Reed Hastings and Marc Randolph, have told different stories over the years. Marc Randolph called Hastings’ first version a “convenient fiction”, which may have encouraged Hastings to “conveniently” change it in more recent interviews. Originally, CEO Reed Hastings said that idea came to him as the result of a fine. Blockbuster charged him a $40 late fee when he was slow to return “Apollo 13”. This, he said, made him think that there must be a better way of renting DVDs. 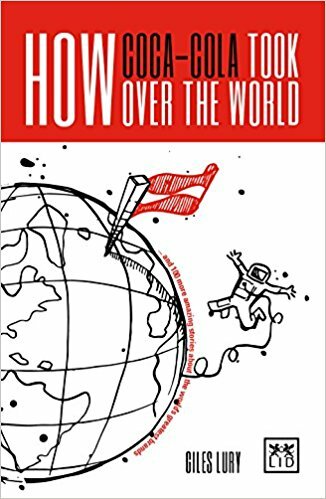 Co-founder Marc Randolph, who left the company in 2002, not only said that this version was a “convenient fiction”, he went on to tell a different tale that was more collaborative. He said that the company was started in 1997 when he and Hastings decided they wanted to create “the Amazon.com of something”. He said they chose DVDs because customers were willing to buy them online and they were strong enough and small enough to mail. 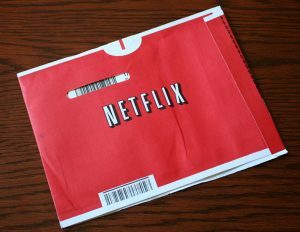 However the initial test actually involved a CD, as DVDs were more difficult to obtain at the time as they were still a relatively new technology, In Randolph’s account, they mailed their test CD to an address only a few blocks away and when it arrived safe and sound, they decided to start Netflix. However it seems that Hastings does subscribe to this and his new story claims that the origin of the brand started with a maths problem. The question was about how much digital capacity could be carried on one station wagon and how quickly it could get to its destination. To solve the problem, a person would have to figure out how many tapes/CDs/DVDs could fit inside the vehicle, how much data they could hold and how quickly the car could get to a given destination. Hastings said that in trying to solve the problem he got to thinking about how much data a DVD could hold and how quickly you could disseminate that information through the mail before wondering if the internet would make it possible to deliver things even faster. This may or may not explain why the brand started as a mail service, though it is true that Hastings had always been vocal about his belief in streaming video. As early as 2005, Hastings said the company was preparing itself for an internet-based future. He went on to say that he thought Netflix would have a decade left of dominating DVDs, but the world was clearly changing faster than he thought and the brand introduced streaming content in 2007, just two years later. The question that this begs is why have one story, when you could have four? 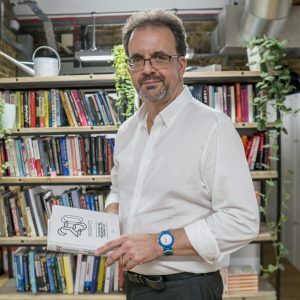 Finally for any regular readers apologies for lack of recent posts – I’ve been busy completing the manuscript on a new book of brand stories – Inspiring Innovation – which will be published By LID Publishing next year. Lego has a history of involving its customers and its fans in its innovation. It famously recruited a group of adult superfans when it wanted to develop its Brainstorm 2 product. 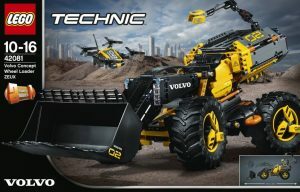 So when it recruited a group of children to help it develop a new Technic product, it might not have seemed that this was anything particularly new, but Lego weren’t the only people interested. The children were shown early drawings and models of a possible futuristic autonomous construction machine and asked for feedback and to come up with any ideas they had which might improve it. Amongst some other smaller improvements, the group came up with two big new ideas; a mapping drone and something which they called “the Eye”. 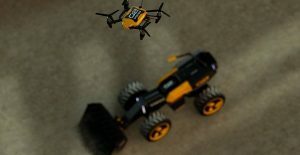 The drone would hover above the vehicle and allow it to have a wider view of its surroundings so it can be ‘aware’ of things that might be out of its normal line of sight. The ‘Eye’ was an adjustable camera boom mounted on the top of the vehicle which would will show exactly where the vehicle’s “attention” was being directed. This means it can make “eye contact” with people in and around the building site and acknowledge their presence. 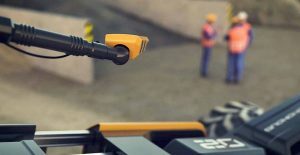 What made this so different is the fact that with most autonomous machines, people can’t see all the sensors that it uses to steer itself and navigate around both stationary and moving objects. The Eye solved this problem, making the ‘interaction’ between humans and machine as safe and intuitive as possible. 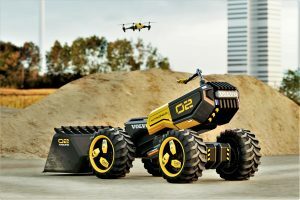 Both ideas are being incorporated in the new Lego technic Zeux Concept Wheel Loader product that will be launched in August. The twist however was that Lego were not the only ones interested in the results, the project was in fact a joint venture between Lego and Volvo. It is a wonderful example of harnessing different thinking and working in partnership with other brands and your customers – present and future. Recently a number of U.K. food manufacturers have started to talk about “From farm to fork” the process they go through from harvesting their crops to you cooking and eating it. It’s their way of talking about the authenticity and quality of their products. The French phrase ‘la fleur au flacon’ – the flower into the bottle – predates this and relates not to food but to perfume, and to the legendary Chanel No.5 in particular. However the extraordinary attention to the detail involved in the production of Chanel No.5 helps explain both its uniqueness and perhaps its price too. It’s a process, perhaps better called a recipe that starts in Joseph Mul’s fields near Pégomas. The fields have been in the Mul family since the early nineteen-hundreds and are where the Rosa centifolia or “hundred petal” roses grow. 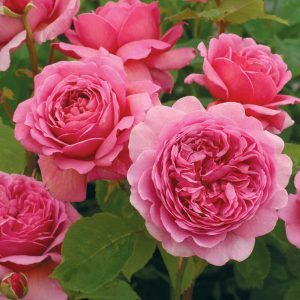 Their frilly, dishevelled heads often bow under their weight of all those petals but they produce a clear, sweet, honeyed scent. A scent that is as distinctive as the aroma from a French wine from a particular region is to a Master of Wine. When the roses are in full bloom, often in late May, the entire fifty acres must be harvested in two weeks. Seventy pickers and four videurs have to cull over thirty tons of flowers. Each and every head picked in a particular way – “One finger over, one finger under, then twist! You can hear the snap” explains Mul. Once harvested, the oils from the roses must be extracted quickly as once picked they start to ferment. Even after two or three minutes, the smell starts to subtly change. Three to five hundred rose heads make a kilo and the videurs fill sacks of ten kilos apiece. These are then immediately loaded them onto a flatbed truck. Within an hour, the roses are delivered to an on-site factory. The sacks of roses are transferred into a giant metal vat and workers use pitchforks to even out the piles before two thousand litres of hexane, a colourless liquid solvent is added and heated it to exactly sixty-eight degrees Celsius. The vat is reopened and the petal have changed from pink to brown. And this is just the roses. Each thirty-millilitre bottle of Chanel No. 5 contains the scent from a thousand Pégomas jasmine flowers, twelve Pégomas roses and a number of other carefully selected and prepared ingredients too. Nick Woodman was failure, or at least his first two entrepreneurial attempts were. His first attempt was an e-commerce brand – EmpowerAll.com – which aimed to sell electronics products for a mere 2% mark-up. Unfortunately it tanked, and fast. His second start-up, for which he managed to raise $3.9 million was Funbug, “a gaming and marketing platform that gave users the chance to win cash prizes.” Like so many tech start-ups of the early 2000s, it didn’t gain traction and burnt through its money fast. Nick needed a break, to lick his wounds and, like any good Californian, to go surfing. The problem Nick encountered was close to heart and his love of surfing. It was how to capture the thrill and excitement of riding a ‘barrel’ – the cylinder inside a wave. Surfing is usually filmed from afar, often from the shore or maybe a boat or jet-ski. Nick wanted to have images from the inside out not outside in. His solution was to attach a camera to his wrist and his first prototype was made out of a broken surfboard leash and rubber bands and allowed him to dangle a Kodak disposable camera to his wrist for easy operation when the perfect wave hit. Brad Schmidt, a friend who would later become GoPro’s creative director, met Nick in Indonesia and made some suggested improvements including the need for a more durable camera, one that take the wear and tear of the sea. Returning to California Woodman felt he was really onto something this time. He borrowed $200,000 from his father, $35,000 and a sewing machine from his mother, which he would use to sew the different camera straps he tried while experimenting with early designs. He and his future wife, Jill generated an additional $10,000 by selling shell necklaces they bought in Bali. Finally he had something he was happy with and he took his first product to market, a combination of a 35mm film camera developed by Hotax, Woodman’s custom wrist strap and camera housing and the new GoPro name and logo. This time round Nick and his new brand were to prove a success. It was to prove the right thing to do in more ways than he expected. While recharging his batteries he would identify a problem and in solving it would create the basis for a multi-million dollar brand. In 2004, Woodman made his first big sale when a Japanese company ordered 100 cameras at a sports show. 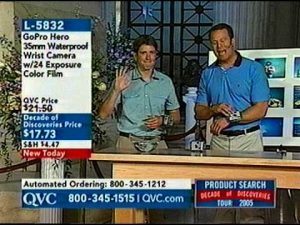 In 2005, Woodman appeared on QVC to sell his GoPro Hero. 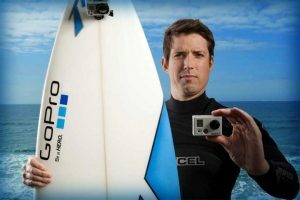 Sales soared and by 2012, GoPro was selling over 2 million cameras a year. Along the way, the products have evolved and now include compact digital cameras that supports WiFi, can be remotely controlled, have better waterproof housing and record to a micro SD card. On June 26, 2014, GoPro went public – closing the day at $31.34 a share. In 2014, Woodman was the highest paid US chief executive, paying himself $235 million while GoPro earned profits of $128 million – not bad for a ‘failure’. Georges de Mestral, a Swiss engineer, used to take his dog with him when he went out hunting in Alps. After these days out he would often have to spend some time pulling off the burrs that clung to his trousers and his dogs’ fur. He was curious to understand how and why this happened, so he took one of the burdock burrs and out it under a microscope. He could now see the hundreds of tiny “hooks” that caught on anything with a loop, such as clothing, animal fur, or hair and he started to wonder if he could somehow turn this natural phenomena into something useful. Over the long period of experimentation he had plenty of time to think about how it could be used and identified its potential to fasten things together, to do things up but which could then be un-done. It was an idea that would be described as ‘The zipper-less zipper.’ He also decided on a name for his new product, like the product itself he chose something that had two separate elements which when combined created something new. He chose a portmanteau word, comprising the words “velvet” and “crochet” and created Velcro. He formally patented it his invention in 1955. 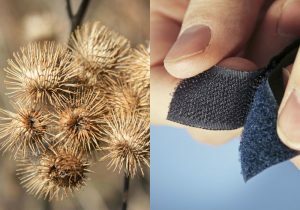 The first Velcro was made out of cotton but de Mestral soon discovered that nylon worked better because it didn’t wear with use. Sales of Velcro took off, or rather blasted off when in the early 1960s the Apollo astronauts started using it to secure pens, food packets and equipment they didn’t want floating away. The resulting PR encouraged all sorts of other applications – Hospitals used it on the straps of blood pressure gauges and on patient gowns. It was used in trains, planes and automobiles as fasteners for floor mats, slipcovers, seat cushions. 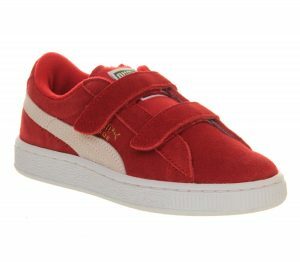 In 1968, Puma became the first major shoe company to offer a sneaker with Velcro fasteners. 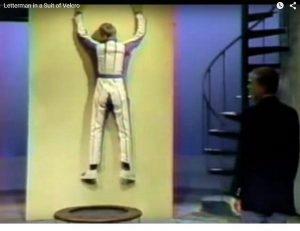 In 1984, David Letterman interviewed Velcro USA’s director of industrial sales while wearing a Velcro suit. When the interview was over, he launched himself via trampoline onto a Velcro wall. Another new use for Velcro was created – outfits for “human fly” contests. By the late 1980s, Velcro original patent had expired and companies in Europe, Mexico and Asia started making their own versions of the product and while there is only one brand that is legally allowed to call itself Velcro, many of the others are often referred to as Velcro. Velcro had joined that select band of metonymy brands where their name is, in common parlance, used to refer to an entire category of product. Others include Ziploc, Sellotape and Guinness. 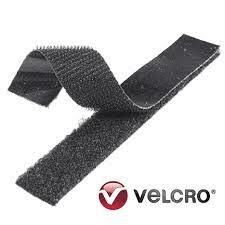 So now you know how Velcro began and may have had your vocabulary increased too! 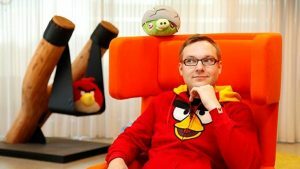 Relude, which would later become Rovio, the Finnish games-led entertainment company, was formed by three university friends – Niklas Hed, Jarno Väkeväinen and Kim Dikert. Together they had won a mobile game development competition with their multi-player real-time “King of the Cabbage World” and decided to try to turn their passion into a profitable business. Initially they did well, producing a string of high quality, well performing games which followed the convention of the time – build a game, launch it, sell what you can, then build another one. Updating a game just wasn’t done, it was felt to be too expensive and not profitable at the time. The market was product led, not brand led. Things however were getting much tougher as time went by, reaching customers in a cost effective way was getting harder and harder. The team had noted the launch of the then revolutionary Apple i-phone in 2007 and they wondered how they could capitalise on the improved performance and new features and create something that was truly ‘game-changing’, in both senses of the word. 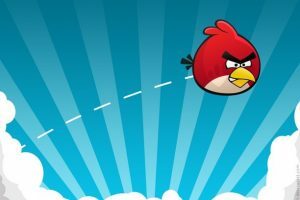 Inspiration would come early in 2009 when one of the then Senior Games Designers, Jaakko Iisalo, presented a single image – a screenshot of a group of angry-looking birds who didn’t have wings or even legs. There was only a single picture but the immediate and extremely positive response led the creative team to believe that they had found something special. One of those parameters was to create a simple concept but it wasn’t a simple task. They also recognised the need for characters and “’Red’ was the icon from the start” (even if he was originally called George). The yellow-beaked, heavy-browed bird stood out of that first image and he became the first character you would see in the game. Unlike other characters he doesn’t have any special powers but what makes him special is that he’s the natural leader. 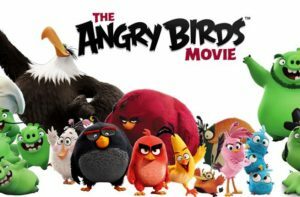 “Red has the smarts to make sure that the team gets through every situation” The team built a back story to explain why he gets so angry; he was the bird that found three eggs on Piggy Island and immediately became over-protective and so typically overreacts to the slightest threat to their safety – ‘flying’ into a rage. 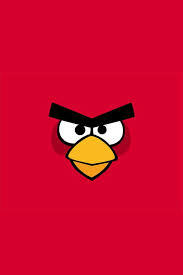 Angry Birds was launched late in 2009 by which time the business was teetering on the edge of going under… and immediately took off! Met with critical acclaim and making great use of the capabilities of the still-emerging i-phone, sales were outstanding. 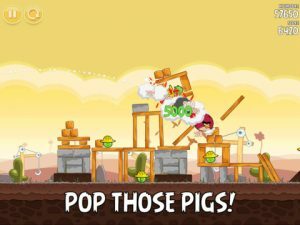 It is the most downloaded app of all time in Apple’s App Store and by May 2012 there had been over a billion downloads of Angry Birds across its many platforms. The brand has since hatched a number of direct sequels – a successful movie, a series of animated shorts, an array of books – and has collaborated with some of the world’s biggest brands, including Lego… not bad for an idea based on a single picture. A lur or lur horn is a wind instrument cast in bronze dating from the Late Bronze Age (c.1000 BC). It consists of an S-shaped pipe made of several pieces of bronze that have been welded together, a soundboard at the upper end and a mouthpiece at the lower end. Most of the lurs that have been found have come from Denmark, though some have also been found in Sweden, Norway and northern Germany. 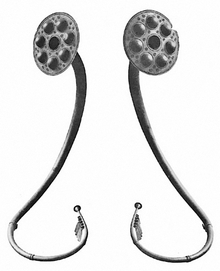 The curving shape of the tubes recalls ox horns, on which the lurs are thought to have been modelled. The name ‘lur’ is of more recent origin. It was first used by archaeologists at the beginning of the nineteenth century. They took it from the Icelandic sagas, in which they say ‘the warriors were summoned to battle with the lur’. Perhaps however the most famous modern use of lurs is as a trademark. In the late nineteenth century Danish butter had built up a reputation for being of the highest quality and of exceptional taste. However, or more likely perhaps because of this, many butters from other countries would pass themselves off as Danish. Danish dairy farmers came together and decided something had to be done to protect their reputation and their trade. 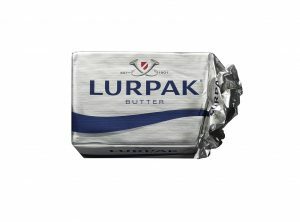 So on 23rd October 1901, ‘Lurmark’ was registered as the trademark for quality Danish butter. 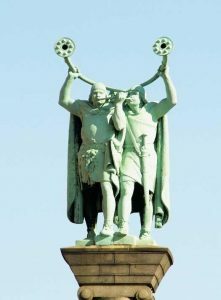 The identity still features entwined ‘lurs’ as a symbol of that Danish quality and to summon not Icelandic warriors but food lovers to the table. They will be drawn by the lur(e) of the great taste of the finest Danish butter. You’ve probably experienced it at least once in your life, or maybe once every month. You’re just dashing off to a meeting or preparing for that big presentation when the photocopier jams and the dreaded error sign appears. Battle Sports in Toronto goes through fifteen printers a week. A new gaming centre in Birmingham, in the UK lets you smash up a desktop printer for just a tenner. The paper jam however is one of the more recent first world problems. Gutenberg invented his printing press around 1440 but the modern paper jam didn’t arrive until around 1960. Gutenberg’s printing press was considerably slower than its modern day counterparts but because printing was done one sheet at a time, jamming was impossible. In the first presses lowered inked type onto individual sheets of paper and even their successors which used a rotary drum were hand-fed. The next major step forward came in 1938 from the application of xerography which gives you a clue as which brand was leading this development. In xerography, static electricity quickly and precisely manipulates electrostatically sensitive powdered ink, or what we know as toner. As the term “photocopier” suggests, a xerographic machine is less like a traditional printer and more like a darkroom. Chester Carlson, was the physicist and co-founder of Xerox who invented their first xerography machines. To work these machines you placed your original under a glass pane, where light was reflected onto a statically charged photosensitive plate. The charged plate then drew toner from a tray and transferred the toned image to plain paper. Finally the toner was ‘melted’ into the paper in a miniature electric oven. Each copy took around three minutes to make. 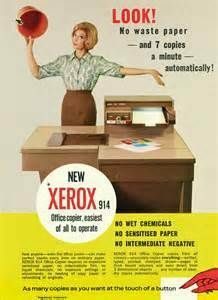 In 1959 Xerox had managed to automate the process and introduced the 914 which could deliver seven copies a minute. They also realised that there was a potential snag, as the new model had a ‘slightly’ concerning side-effect – the paper jam. A problem that wasn’t just frustrating but potentially dangerous. Jammed paper combined with the heating element sometimes set the paper alight. No easy solution was found but that didn’t stop the launch, Xerox merely shipped the first models complete with free fire extinguisher. 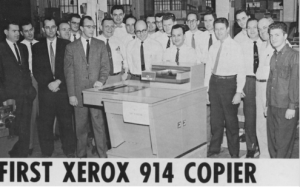 Despite this the Xerox 914 was a huge success, between 1960 and 1979, it delivered around forty billion dollars and one or two fires.